This blog is an attempt to understand why some people deny the existance of child sexual abuse by changing the subject to false memories, false memory syndrome, witchhunts, satanic panic and other analogies that are intended to ridicule, shame, scare and silence people who remember being hurt by those with power over them. 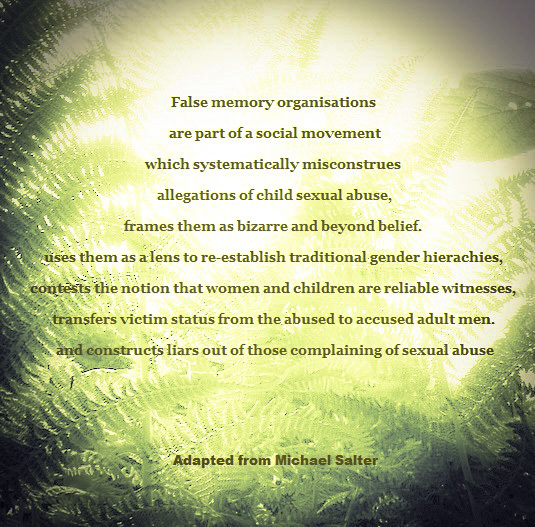 It describes the false memory movement as social movement that attempts to deny the extistance and extent of child sexual abuse. 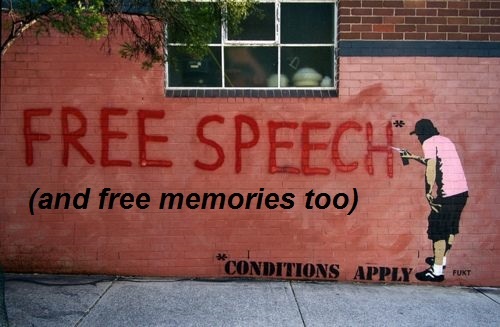 The blog can also be read as my own process of coming to understand the effect that the false memory movement has played in my own life, by superimposing their rhetoric over my own experience, ridiculing and silencing me. What would society look like if the false memory people got what they wanted? How does the BBC use language about child sexual abuse? How is language being used to deny child sexual abuse in the UK today? No one is beyond God's ability to heal, save or restore!